According to a price reporting of 50 ski resorts by online travel agent LOCASUN, it costs from 1,500 euros to three times that amount for four people, to cover accommodation, ski lift pass and ski equipment rental. To look at it more closely, we see that accommodation is the lion’s share of a skiing holiday. It often represents half of the expenses and above all, the ratio varies from one to three depending on the destination. Whilst in Val d’Isère, Megève or Avoriaz a budget of more than 1,400 euros is required, 550 to 650 euros will be enough in smaller resorts. Larger resorts are less expensive per ‘skiable km’: The other items of expenses vary from one to two: for entry level, from 50 to 100 euros for rental of equipment and 160 to 315 euros for the 6-day lift pass. In an attempt to comfort those who broke their piggy banks to finance their ski holidays, Locasun has nevertheless shown that it is the larger and more expensive ski resorts that offer the best value for money. 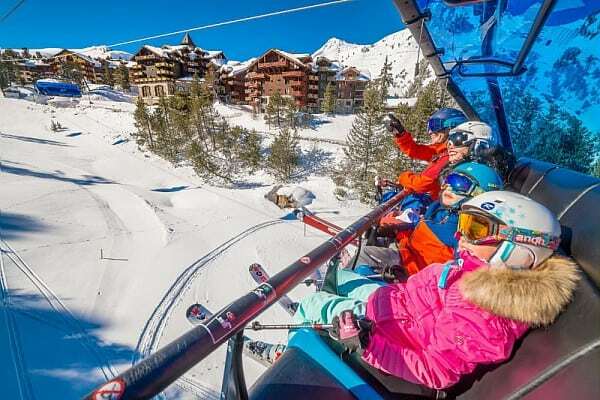 By taking into account within the cost of the holidays the total of accessible/usable kilometres of ski slopes, the ranking is radically different: Châtel, Morzine, Les Gets, Les Menuires, Val-Thorens, Avoriaz or Méribel-Mottaret offer the best deals (from 0, 9 to 1.2 euro per person per kilometer of skiing) where in comparison, the resorts of the Pyrénées are prohibitive: from 9 to 11 euros for Cauterets, Pyrenees 2000, Font-Romeu or Guzet-Neige. Here are some good reasons to buy a ski property: you’ll save money and make use of your property during your holidays whilst earning you a rental income. Have a look at some of the properties we market in the main ski resorts.